The PDM series photon counting detector modules are all solid-state instruments. 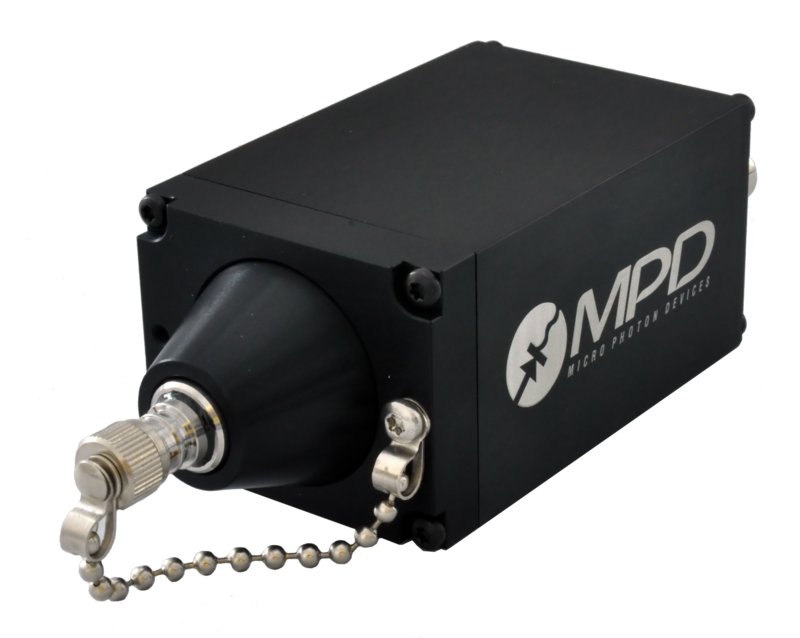 They have a photon detection efficiency of 49% at 550nm and generate a TTL output pulse per detected photon. 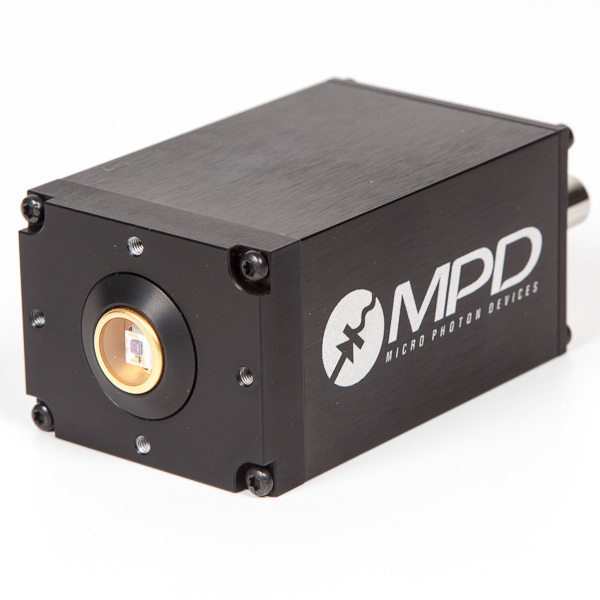 With fast-timing option (additional circuit board installed) they provide better than 50ps FWHM photon timing resolution. 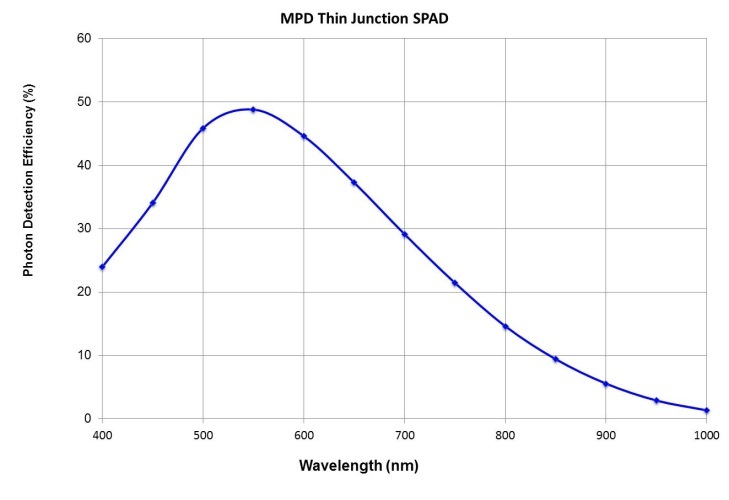 The excellent photon detection efficiency and superior timing resolution is obtained through the use of epitaxial silicon Single Photon Avalanche Diodes (SPAD) and patented integrated Active Quenching Circuits (iAQC), specifically designed and optimized for photon counting applications. Low-noise SPADs and low-power iAQCs make these modules ideal for portable equipment and all applications requiring low power consumption. Versions with optical Fiber Receptacle (PDF) to couple to all SingleMode and MultiMode fibers, up to 105um are available. A. Giudice, M. Ghioni, R. Biasi, F. Zappa, S. D. Cova, P. Maccagnani, and A. Gulinatti, “High-rate photon counting and picosecond timing with silicon-SPAD based compact detector modules,” Journal of Modern Optics, vol. 54, no. 2, pp. 225–237, Jan. 2007. G. M. Akselrod, P. B. Deotare, N. J. Thompson, J. Lee, W. A. Tisdale, M. A. Baldo, V. M. Menon, and V. Bulović, “Visualization of exciton transport in ordered and disordered molecular solids,” Nature Communications, vol. 5, p. 3646, Apr. 2014.